In Bronte, in the land of Etna, Pariani selects only the best pistachios. The Green Bronte D.O.P. Pistachio is universally recognized as a nut with a very unique flavor, color and aroma. The Green Bronte D.O.P. Pistachio is sweet, and delicate. Its color and organoleptic qualities make it the best in the world. Its features are uniformly bright green color, and its flavor and aroma enhanced only by its place of production. 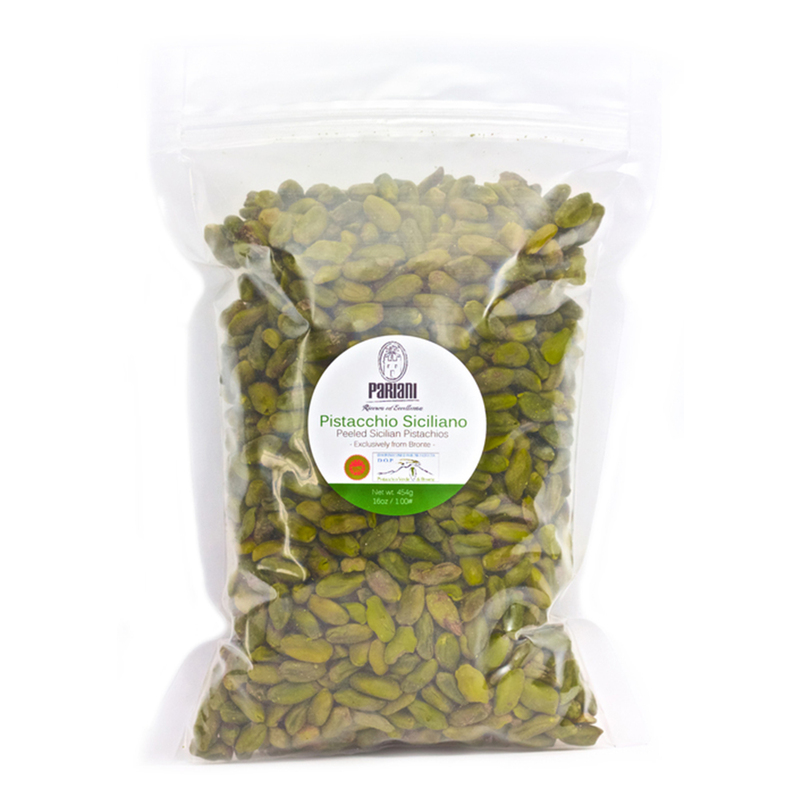 It is a truly unique product, and while many may carry “the best” pistachio Pariani truly sources the highest quality D.O.P. Sicilian Pistachios in the market. Use for making the best Mortadella ever conceived, or even in pâtés and terrines for added luxury. 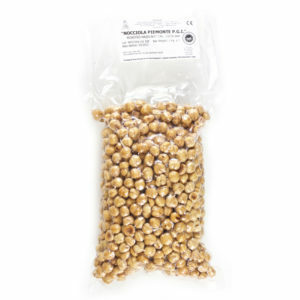 Sold in 100 g or 1 lb bags. To put the quantity in perspective… Below are common use levels for garnishing with nuts.